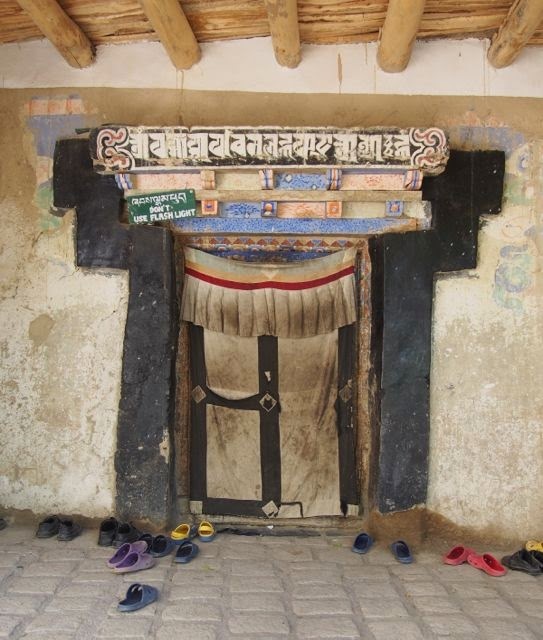 A Tibetan-Buddhist monastery with a medieval village thrown in for good measure. 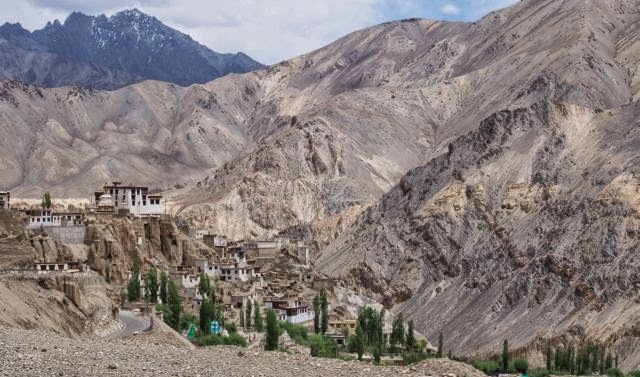 Simply stunning- the monastery is located on top of a barren hill (at 3500m) while the village, built in the same Tibetan/Ladakhi style with whitewashed walls, spills down the slopes. 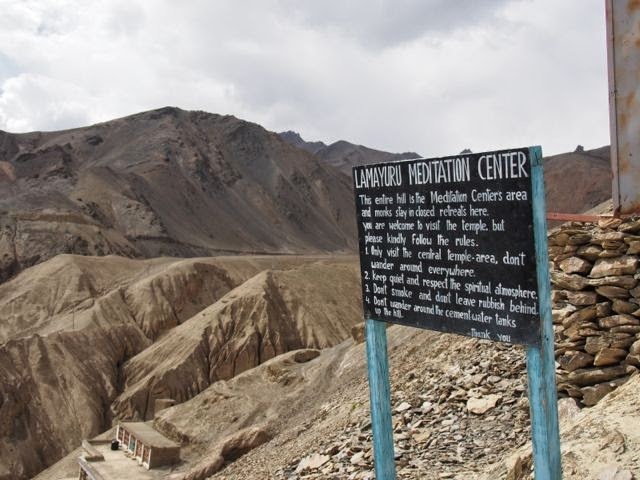 In West Ladakh, roughly halfway between Kargil and Leh. Map. 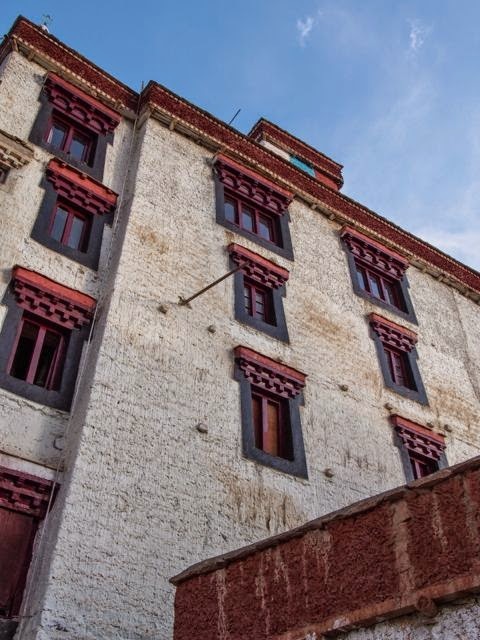 IT'S HARD TO get solid information on Lamayuru Gompa (Monastery). What's clear is that there have been monks here for more than a 1000 years. 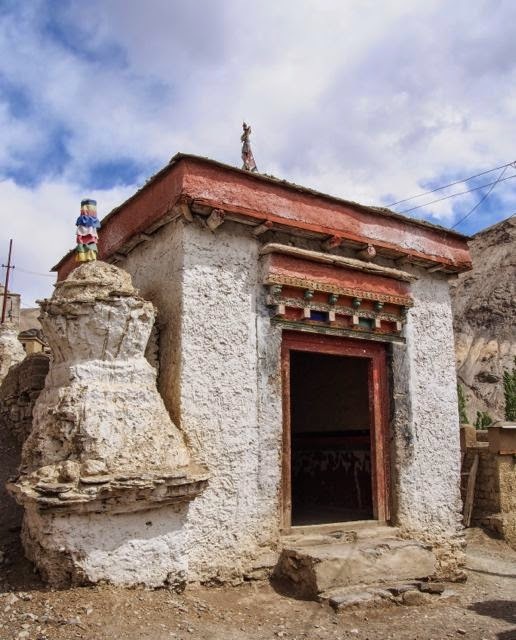 Many Tibetan Buddhist monasteries are located in places of solitude, and Lamayuru, on top of a 3500m peak in a high-altitude dessert landscape seemed to fit the bill. 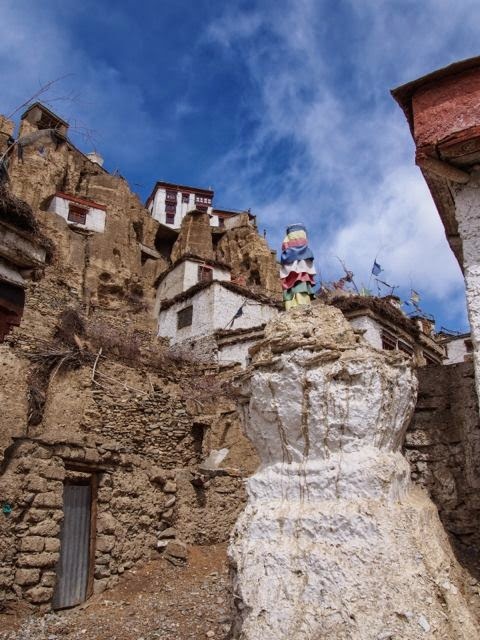 There are many other monasteries in Ladakh in spectacular places, and with wonderful art, but what makes Lamayuru stand out is the almost organic integration of monastery and village, both of which seem to grow straight out of the rock. 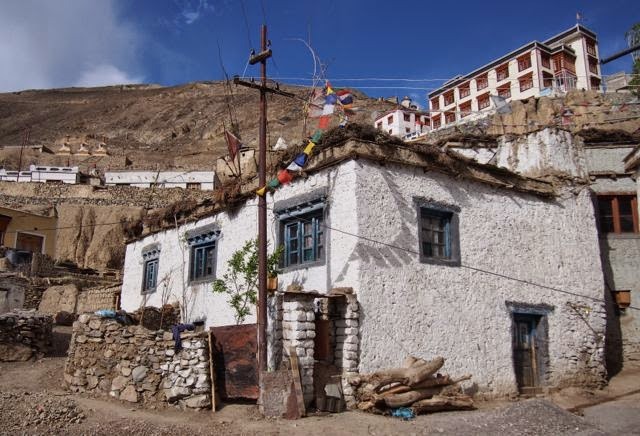 Lamayuru has several simple hotels and it makes a good base to break the journey between Kargil and Leh. Once settled, simply start climbing up the hill, exploring the little alleys. 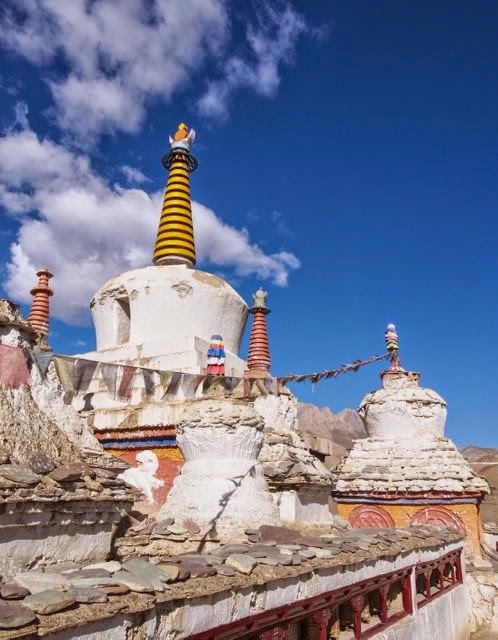 You'll come across picturesquely crumbling stupas, prayer wheels, and some curious wildlife. 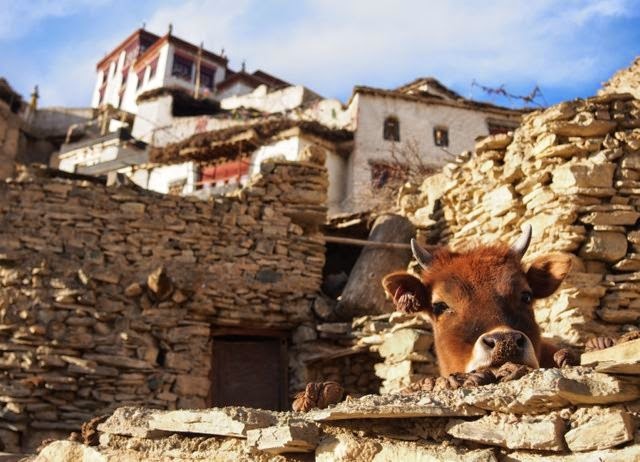 A curious cow in one of the village sheds, with the monastery high up in the background. 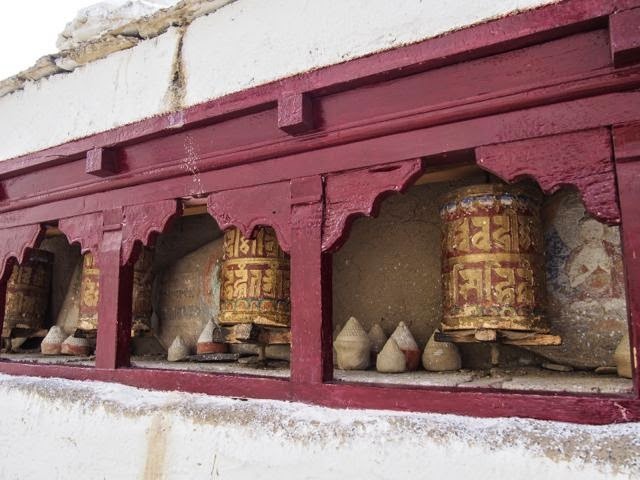 A small but beautiful village shrine which contains a large prayer wheel. One of the village houses. Although simpler, the style is the same as that of the monastery creating a seamless fusion between the secular and the religious. Ladkahi lady. 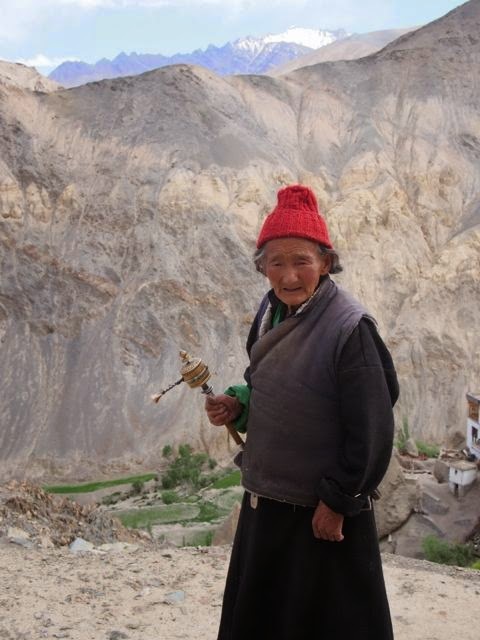 She's not holding a children's toy- it's a portable prayer wheel. The main building of the monastery. I love the windows with their heavy lintels. 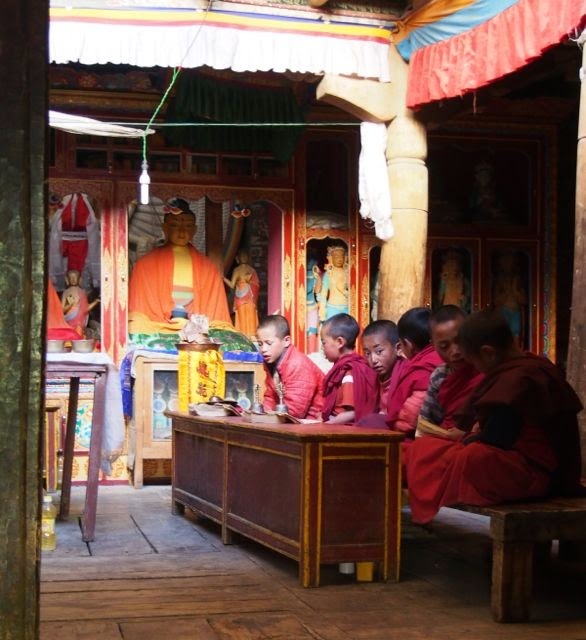 ...and is sometimes used as a classroom for budding monks. I ran into several monks who were friendly enough, as well as a school for young boys run by the monks. Further up the hill are some retreats for meditating monks. As the sign indicates, you're welcome to explore, as long as you respect the monks' solitude and the quiet atmosphere. 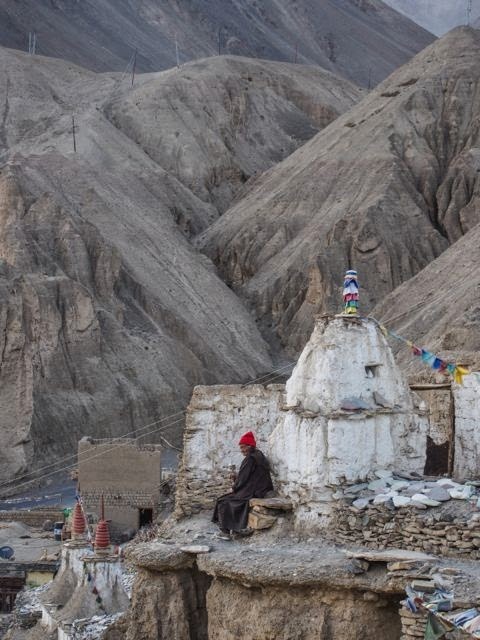 And old lady praying near a crumbling chorten (stupa). Lamayuru is on the way Srinagar to Leh and is a amazing place.